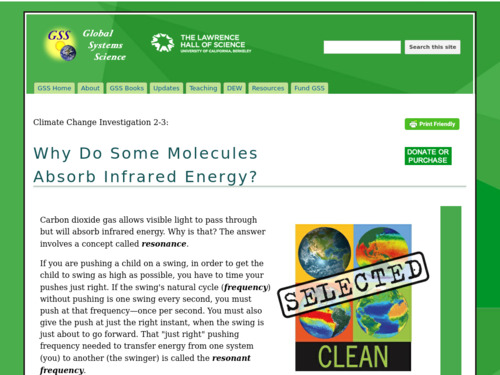 Why Do Some Molecules Absorb Infrared Energy? 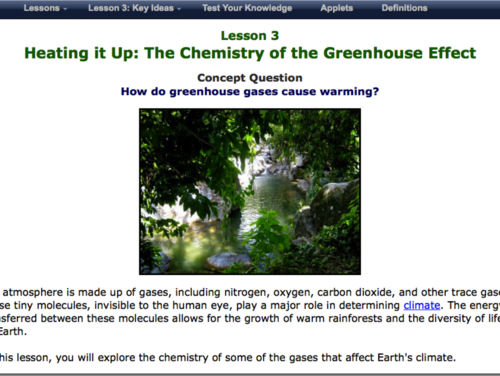 In this short, hands-on activity, students build simple molecular models of 4 atmospheric gases (O2, N2, C02, and methane), compare their resonant frequencies, and make the connection between resonant frequency and the gas's ability to absorb infrared radiation. 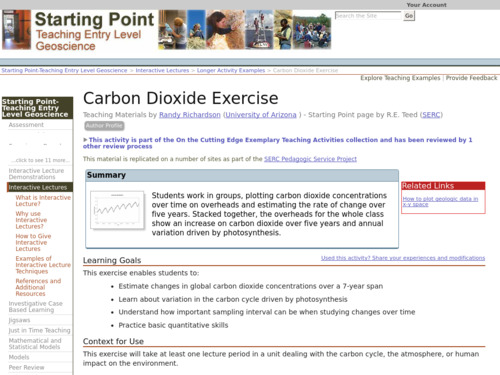 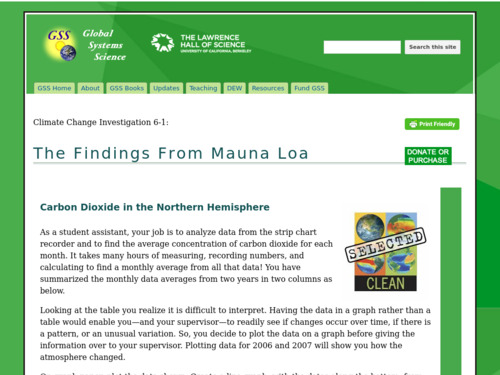 This activity involves plotting and comparing monthly data on atmospheric C02 concentrations over two years, as recorded in Mauna Loa and the South Pole, and postulating reasons for differences in their seasonal patterns. 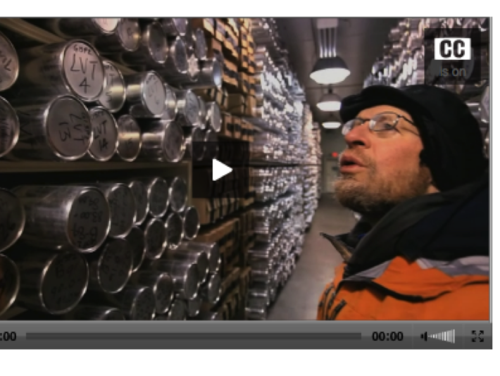 Longer-term data is then examined for both sites to see if seasonal variations from one site to the other carry over into longer term trends.